Today is Black Friday! Don’t miss the huge deals! Black Friday is the American’s biggest sales event of the year, happening the day after Thanksgiving. Retailers offer huge discounts for a wide range of consumer goods. It started in the US as a marketing strategy to make money on huge volume sales, and also get rid of old stocks by lowering prices. Back in the late 19th century, most retailers unofficially agreed to start holiday sales from the Friday immediately following Thanksgiving holiday. 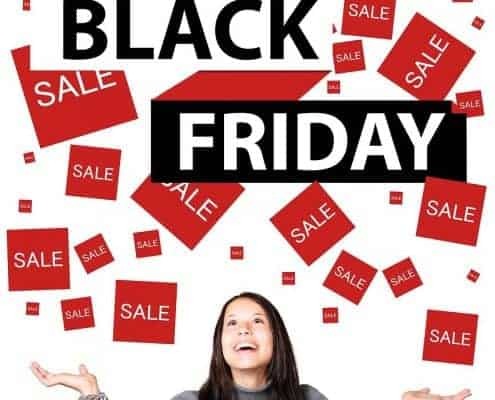 Black Friday probably became a big shopping day from that time, when store-sponsored Thanksgiving parades were common, and that Santa Claus showing up at the end of the parades printed in people’s mind as the start of the holiday shopping season. It has now spread across the world, with the help of giant American retailers like Amazon. In the US, sales can start as early as 5am, leading some consumers to sleep outside the stores on the night of Thanksgiving to get as many products as possible before stocks sell out in the early morning. This day is so crowded that shops need to hire extra staff to do not get too overwhelmed. Still, it is amazing to see long queues in the shops and even people fighting to have the last TV on sale. Shopping on Black Friday is like an obstacle course! So better be prepared! Some people believe Black Friday refers to the day on which slave owners in America would sell off the slaves they thought had the least value for low amounts of money. Others think Black Friday comes from the world of accounting, where black ink on a company’s book symbolizes profits, and red ink stands for losses. Retailers supposedly started to use the term “Black Friday” in the 1980s to refer to the day of the year when they finally go “into the black” after being “in the red” for much of the year. The likelier origin for Black Friday could come from more recent years. In the 1950s, police in the city of Philadelphia used the term to describe the chaotic day after Thanksgiving, when suburban shoppers and tourists rushed in advance into the city to attend the big Army-Navy football game that was held on that Saturday every year. They would take the opportunity to go shopping at central Philly’s retail shops and department stores, making this Friday an awful day for Philly’s cops who had to work extra-long shifts and deal with the crowd and traffic. More precisely, Black Friday term may have stemmed from the old Philadelphia Police Department’s traffic squad, according to an article from 1994 by journalist Joseph P. Barrett who reported that the police used the term to describe the horrible traffic jams that occurred on the Friday after Thanksgiving. By the 1960s, locals and police in America commonly used “Black Friday” term to describe the traffic chaos during this day of huge retail sales after Thanksgiving. Some politicians tried to change the term to “Big Friday”, to have a more positive connotation amid the intense racial and social tensions at that time, but it did not stick. The term Black Friday finally spread to other cities and later entered the national lexicon. In the early 1980s, store retailers supposedly spread the “Get in the black” story (mentioned above) as origin of the Black Friday term, to give the biggest shopping day a more positive origin. Anyway, the term “Black Friday” predates all shopping connotation. Historically, when an awful event happened on a Friday, people used the term “Black Friday” to refer to it. So the first recorded use of Black Friday did not refer to holiday shopping. 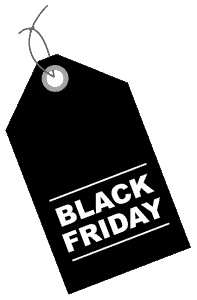 “Black Friday” term was first used to describe the crash of the U.S. gold market that occurred on September 24, 1869, after two unscrupulous Wall Street financiers, Jay Gould and Jim Fisk, worked together to buy up as much as they could of the nation’s gold, for its price to skyrocket and sell it for huge profits. But when the conspiracy collapsed on that Friday, the market crashed and countless investors got ruined. Another Black Friday refers to the Battle of George Square in Glasgow in January 31 1919. People protested to get shorter working hours. It was also used for the day in November 1910 when hundreds of suffragettes marched on Parliament in peaceful protest and were assaulted and arrested by police. Bad days of battle during World War II were also referred as Black Friday. Although Black Friday was the only day to enjoy huge sales for the holiday season, sales day has now spread to the all four-day weekend. Small Business Saturday is an opportunity to get deals from your local shops and support small independent businesses. Nowadays, Black Friday is also followed by Cyber Monday, when online shops offer huge discounts. Thanksgiving Day How to avoid drowning if your postdoc laboratory is a sinking ship?